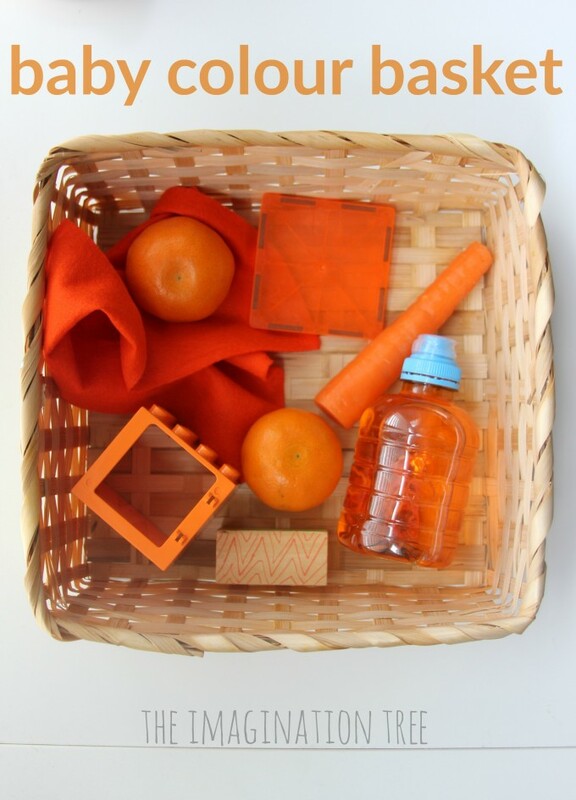 Make this colour themed baby treasure basket for some sensory, heuristic play for your baby or toddler! 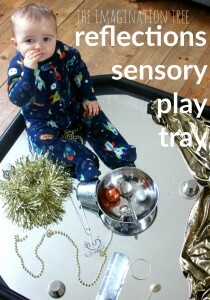 Here’s another simple sensory activity for babies and toddlers in our baby treasure basket series! Creating a colour themed sensory basket or tub is something we do at various stages of play development including this giant colour themed tub that my toddlers loved sitting right inside to play with! 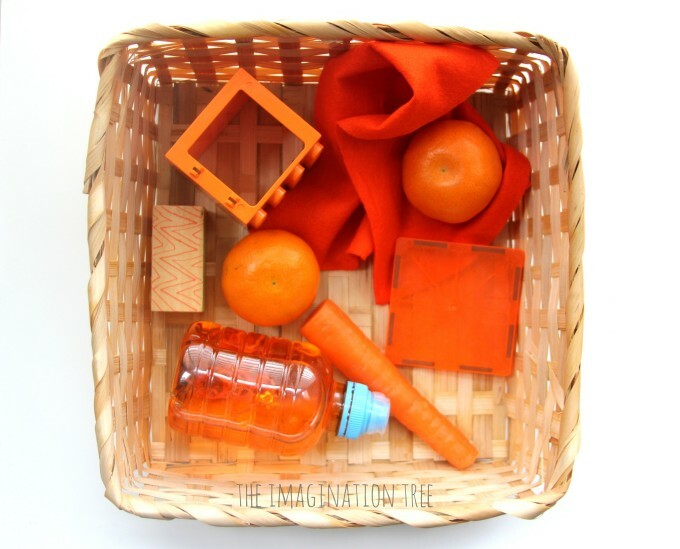 These themed treasure baskets are SO quick and simple to create and, if you’re in a classroom or sensory group setting it would be fun to make up a whole set of colours to store on the play shelves for easy access too. Once you’ve made a set of colour themed treasure baskets, why not move onto textures, shapes, sizes etc. It’s so much fun to create these resources and they love engaging with them so much more than shop bought toys. 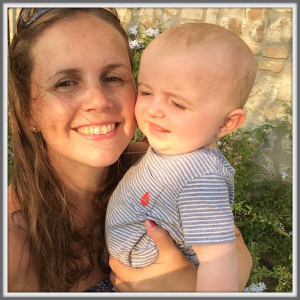 As with all heuristic play the aim is to sit back and allow your child to explore on their own, without any interference or direction of play. It’s lovely to sit beside baby while they play and just observe how they explore the materials and what they make of them. 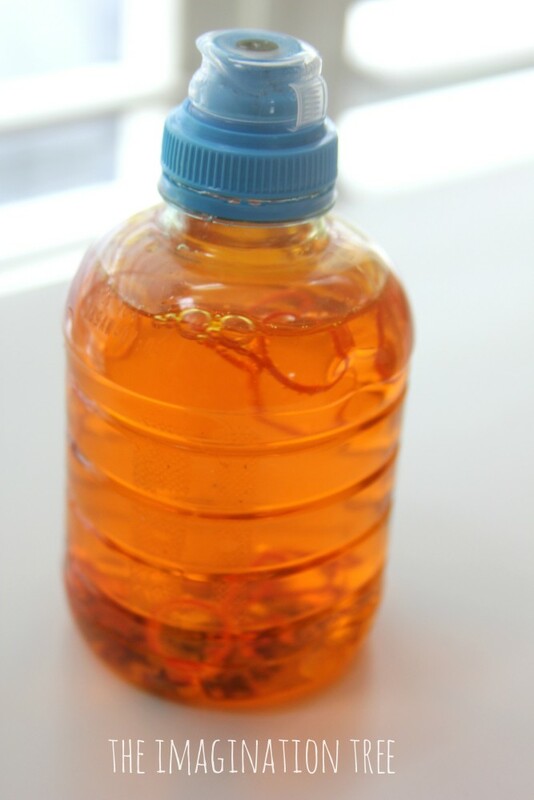 Depending on their stage of development, they may enjoy the motor element of the basket as much as the contents, that is, simply taking each thing out one by one and putting them back in again! Or rolling them, banging them together and generally discovering what they can make them do. Of course, having a good lick and chew of the edible items is at the top of the list! Babies learn about the world primarily through the thousands of sensory receptors on their tongues, so encouraging mouthing of objects is important. You learn SO much more about an orange by being allowed to hold it, squish it, roll it and lick it than by simply being shown a picture in a book or being offered tidy slices already cut up for eating. 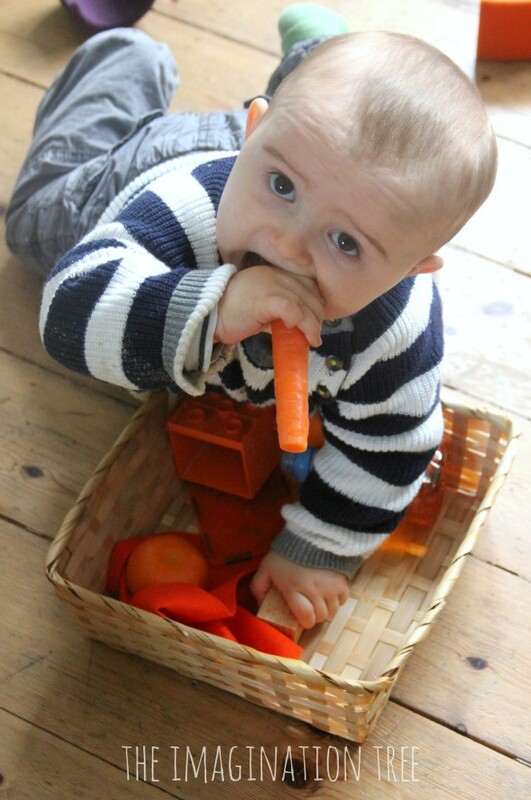 You can see all of our BABY PLAY ACTIVITIES here. There are lots to choose from! 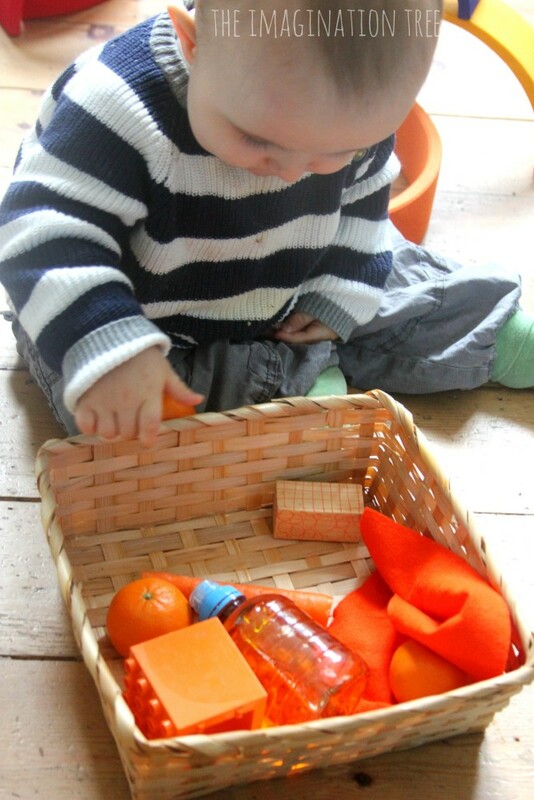 Read all about the thinking behind TREASURE BASKETS & HEURISTIC PLAY here. Why not make a CIRCLES TREASURE BASKET next? 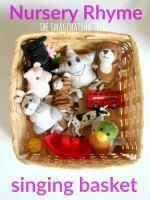 Or even a mini TRAVEL TREASURE BASKET for taking to appointments and Grandma’s house! 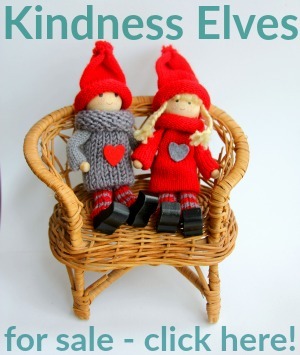 And follow my Pinterest board too for more ideas collected around the web. I’ve always got my eye open for inspiration to share with you all. Oh! I loved doing treasure baskets with my two older kids. I love the color idea. I hope I can do it with my new baby in a few more months! It might be fun to have my older ones design one for her too.